Stone Creations Northwest honors and respects the sacrifice our service members make when serving our country. As a disabled veteran owned business, nothing hits home more than learning of a fallen soldier. 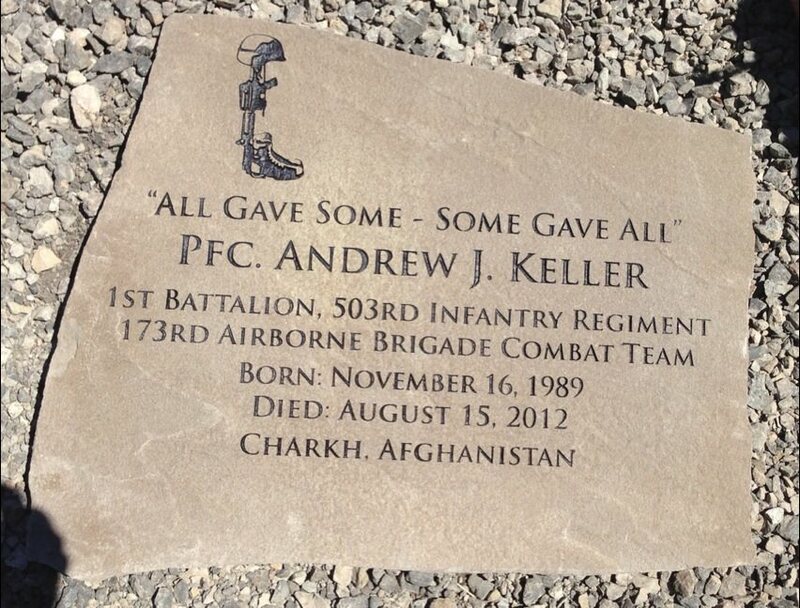 This Memorial Stone was created to honor the life of PFC Andrew J. Keller. Memorial stones are a classic way to cherish loved ones who are no longer with you. Many people find memorial stones something they can keep within their own home or garden, in addition to traditional headstones, to remember loved ones. Memorial stones offer many options for memorializing your loved one. Whether large or small, and on almost any budget, Custom Engraved Memorial Stones from Stone Creations Northwest create a lasting tribute to your closest friend, family, or coworker. 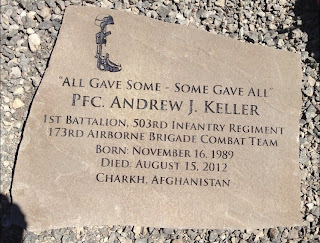 For more information on engraved stones and Memorials, visit our website at here.